I talk a lot, and I know it is a lot, about pavements in and around Walt Disney World. We’ve explored the difference between the original flat walkways of the Magic Kingdom and the storytelling emphasis that has been placed on the ground beneath guests’ feet. Tire treads, peanut shells, and animal prints are just some of the ways that Imagineers have come up with to use the pathways to help sell the story. Now, they’ve even gone and one-upped themselves, or should I say they’ve taken another step forward in their story telling? No longer are the prints of horseshoes enough to tell the story of the bygone days of America, or how the circus carts arrived in Storybook Circus. Of course, these prints do belong to a pretty spectacular horse. These prints were made by none other than Maximus, the Captain of the Guard’s horse from Tangled. Arguably, one of the film’s main stars, who steals the show without ever actually speaking a word, though his neighs and snorts do help him get his point across. 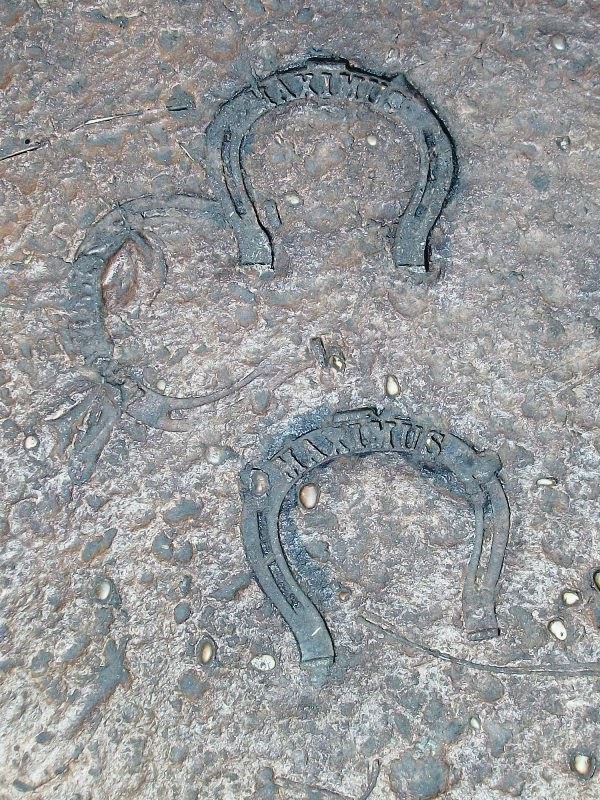 I’m sure it is obvious by now, but Maximus’ horseshoe prints can be found near the Snuggly Duckling restrooms on the border between Fantasyland and Liberty Square. 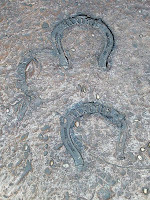 While it is completely clear as to why he would be trotting around these parts, and a case could be made that attentive guests could puzzle out who’s prints these are without the name placed in the horseshoe, the addition of the name makes the story very clear to each and every guests who takes the time to look beneath their own hooves, err…, feet. One of the funny things about Walt Disney World is how much it changes, and how we love to document those changes. Just like the old adage says, however, the more things change the more things stay the same. 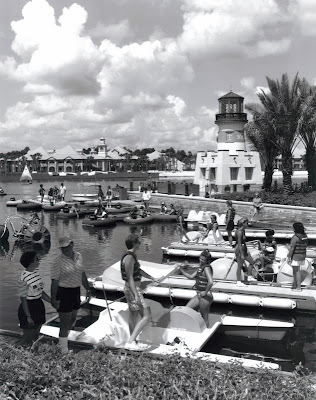 Take this photograph from Disney’s Caribbean Beach Resort. Disregarding the fact that it is in black and white, which could still be used today, the photograph could have been taken yesterday, right? In fact, it was taken almost twenty-five years ago! Though, you would scarcely find some of these watercraft on a Walt Disney World lagoon these days. WATER ENTHUSIASTS will find an abundance of watercraft at the Walt Disney World Caribbean Beach Resort’s Barefoot Bay Boat Yard. 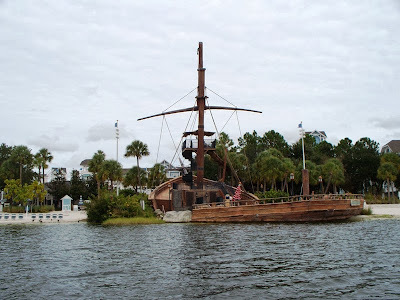 Located within the lush 200-acre tropically-themed resort, the marina offers everything from small sailboats and runabouts to “water-cycles” and paddle boats. As you may have noticed, I’ve been a bit unreliable over the past few months with how articles have been posted. Although the past couple of weeks have been back to the old form, there is still work to do, and I’m convinced that while it will not be easy to do, I will do my best to keep the content you know and love up to date as often as possible. Now, you may have also noticed the change in schedule has been taking shape nicely, but that it leaves a gap on Fridays. I always hate leaving a day with nothing in the way of storytelling going on, especially since there are so many wonderful stories to tell when it comes to Walt Disney World. However, leaving the day open has been an intentional move on my part. Consider this an open invitation to all writers and photographers, professional, hobbyist, or amateur, who want to find another corner to showcase their tales in. If you have an idea that you would like to contribute to the Main Street Gazette as a guest columnist, please send your pitch to ryan@mainstgazette.com for consideration. Remember, this is going to be an open forum for all types and levels of writers, photographers, and bloggers, so there is no idea, big or small that isn’t worthy of attention! 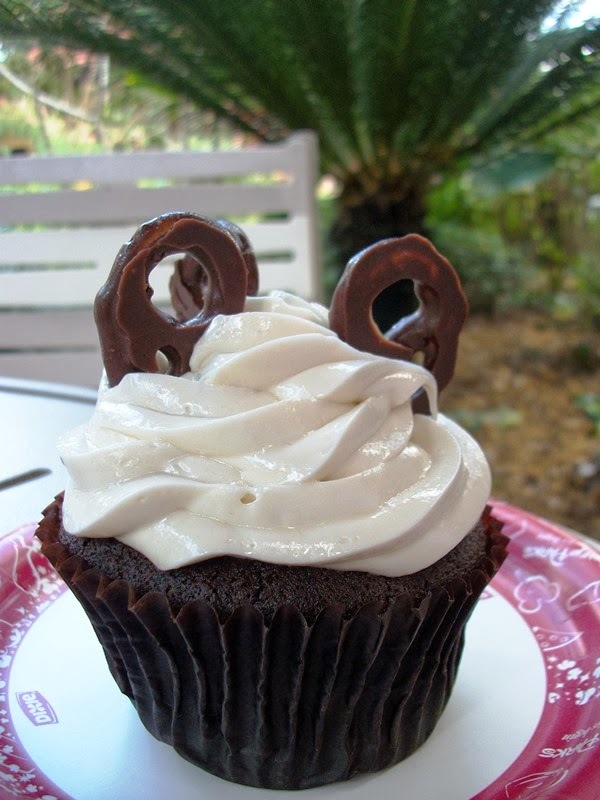 Additionally, I am looking at beefing up the core group of writers who take part in the weekly roundtable that runs as part of Disney This Week. Over the next couple of weeks, I will be reaching out to writers in the community in the hopes that they will want to join the team. If you have someone you think would make an excellent addition to our little band, by all means send their name along to me so that I can reach out to them. With a new direction and dedicated bunch of readers, I cannot wait to see where the Main Street Gazette is going next, and I hope you are just as excited as I am! From time to time we take a moment to think about how the music of Walt Disney World, and the wide Disney songbook, affects our perception of attractions and experiences. Far less often, we consider what role this music plays in our day to day lives. From those loops we put on in the background of our office while we work or at home while we clean, then there are the actual lyrically inclined songs that are quick to call up memories. But what about the times that a song, an old favorite or a new track, that comes to us at just the right time to make an impact in our lives? As I’m sure is apparent to just about every longtime reader of the Main Street Gazette, I’ve been battling through a rough balancing act over the past six months. A new position at work has eaten away at the time that I used to have for writing, personally and for the Gazette. It’s taken a toll on the high standards I hold myself to for the Gazette, but it should be the reason or the excuse I use to account for the lack of dedication I have shown here. The day job, which begins long before the sun rises and long after it has set, hasn’t gone as smoothly as I had hoped it would either. For the past couple of months I’ve been trying to figure out if I needed to reduce my role with the Gazette in order to make my other position function more to my liking. I had hit a point where I couldn’t find a path forward and something was going to have to give. Last week, I was away for a couple of days at a staff retreat where I found answers. Answers to the concerns and questions I had and answers to questions I hadn’t even asked myself. In addition to some incredible speakers and sessions that reinvigorated me and gave me tools that have, and will continue to, help me unlock my values I just happened to take time to listen to a copy of the Horizons soundtrack. The combination of all of these stimuli made all of the right pieces just fall into place. I’m not certain how much you want to hear about the amazing speakers I heard, but let’s look at what I took away from the Disney influence of those couple of days. The Horizons soundtrack begins with New Horizons, the song that issues a proclamation that dreams do come true. It also claims that, “today holds the challenge to make this world a better place to be.” Then you come to Great, Big Beautiful Tomorrow playing in the tomorrow of yesterday scenes, this also picks up on the, “man has a dream,” theme. Whether I am working as an educator, or directing the efforts of educators, or in my work with the Gazette and other sources in the Disney community, the belief that I am working today to make tomorrow a better place is the one thing I have clung to. No one ever said it was going to be easy, no one ever said I was going to be able to change things overnight. It takes work to create change, it takes effort to find the bright spot in all scenarios. All of these thoughts wandered around in my head for several days, and continue to merge together and pull apart coming up with new avenues and new ideas to explore. My new outlook on my professional life, both within the organization I spend my days with and the Main Street Gazette, and all the other opportunities both of these open up to me, has a lot to do with who I am and the reminders that both external and Disney forces have presented me with. It doesn’t change who I am, or my dedication to continue to give all parts of my life one hundred percent, they were just nudges back to where I needed to be. After all, if we can dream it, we really can do it.